Capture the attention of every passerby with Hotcards stylish Fabric Towers. For unmistakable quality and design—Print with Hotcards. No one remembers unexciting, conventional tradeshow exhibits. That’s why we’re here to help you design and print a one-of-a-kind Fabric Tower that will make sure your tradeshow set-up never goes unnoticed. 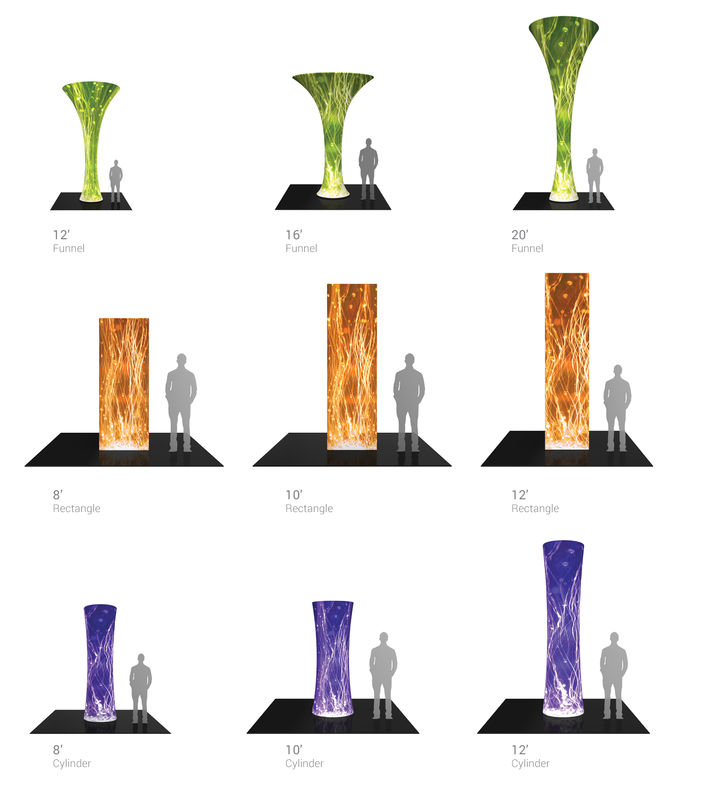 We include interior LED lighting options and give you a choice of shapes like cylinders, funnels and rectangular columns. These towers take minutes to set up with our zipper pillow case graphics and are made out of easy to use, snap button assembly, aluminum tube frames! We LOVE that you LOVE us! 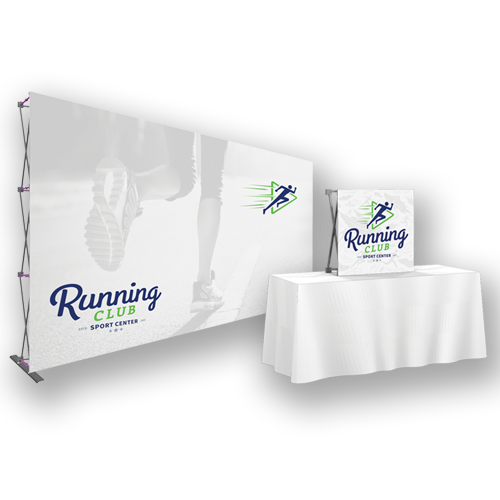 We’ve made it easy to let you print and change out graphics when it’s time to start a new promotion or event. Vibrant colors are produced using 1 to 4 color printing. We use only super durable, high quality inks, ensuring stunning results! This will ship in a durable, easy to ship case – and stay protected along the way. This product comes with a convenient carrying case that makes it easy to move in and out of events. Designed with YOU in mind, this display is simple, fast and easy to setup!  Get an instant price, then place your order! 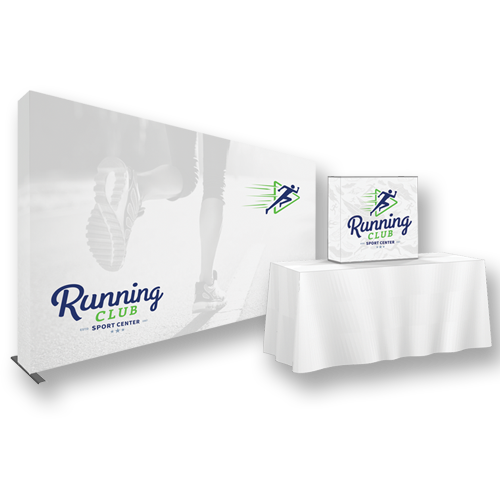 Hopup Displays Don’t waste your and your client’s time with boring trade show displays! 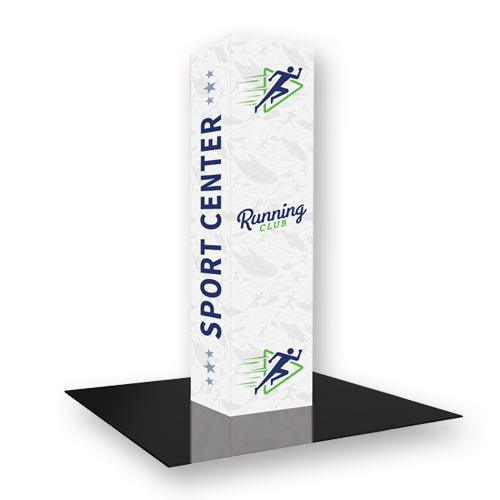 Hopup Displays with End Caps Don’t waste your and your client’s time with boring trade show displays! 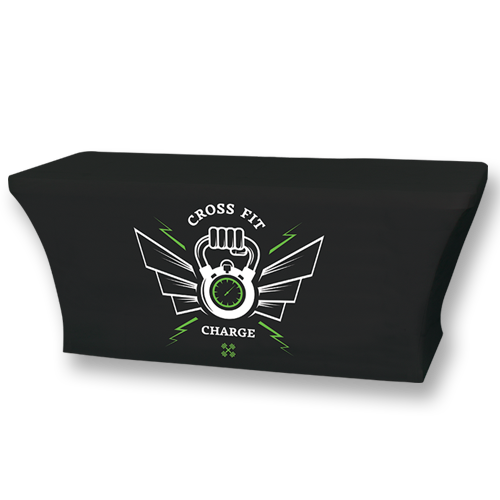 Premium Table Throws Turn your table into a billboard with Hotcards Premium Table Throws! 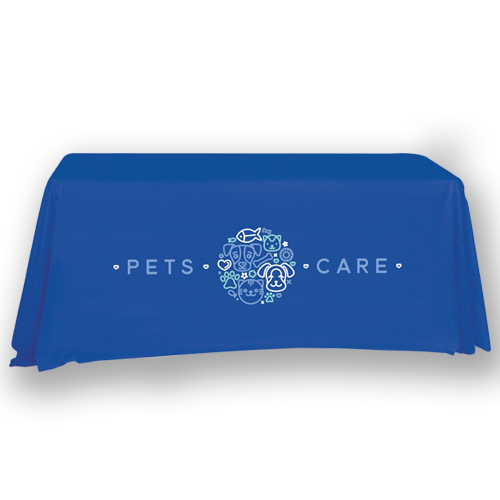 Stretch Table Throws Turn your table into a billboard with Hotcards Stretch Table Throws.